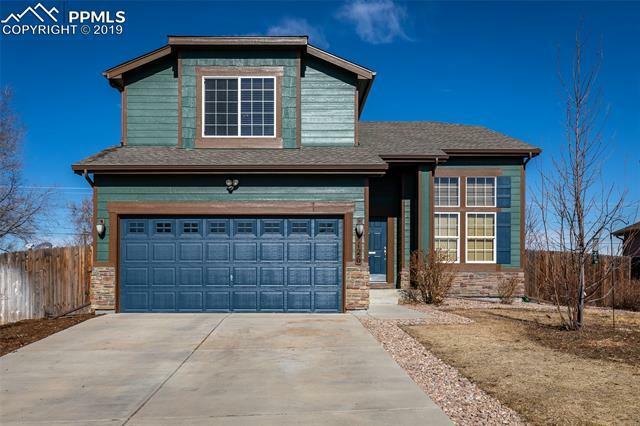 Lovely 3 bedroom home on quiet cul-de-sac just minutes from Fort Carson. Tons of features that include central air, vaulted ceilings, 6 panel doors, auto-sprinkler system and water feature in front yard. Newer roof with transferable warranty and fresh exterior paint. Large wood deck in fenced backyard. Large windows through-out the home and a master bedroom with a walk-in closet to die for! Full, unfinished basement is ready for additional bedrooms or rec area. Come take a look!